So many of us are trying to live a more pure and healthy lifestyle. Homeopathic cures and remedies can play a big part in this. And although it is very appealing to cure what ails us with an all natural approach, it's not always easy to find the right blend of ingredients to fit our own individual needs. 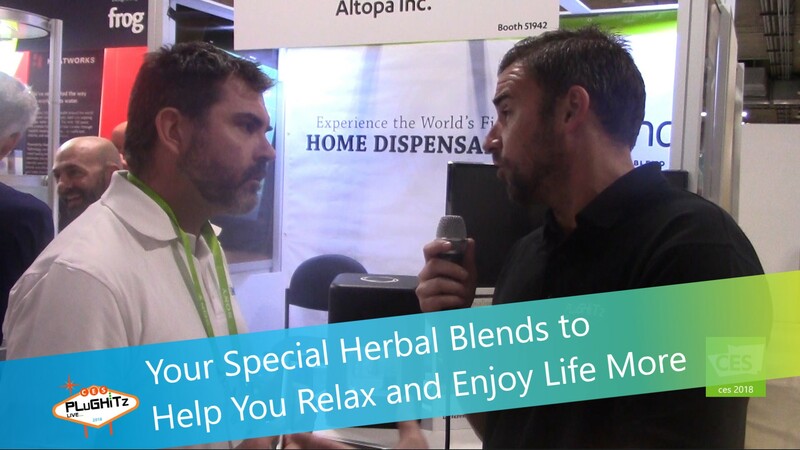 Oblend allows you to make a variety of health products, right at home, using plant-based materials, such as botanical extracts and essential oils. Botanical extracts and essential oils have long been touted as being able to help with everything from headaches to sleeplessness to inflammation and everything in between. But everybody is different and getting the right blend for maximum benefits can be quite difficult and expensive. This is where Oblend comes in. With the help of their mobile app, you are able to identify your specific need and get recipe combinations. And you can choose the best way to deliver the results. You can create vapes, tinctures, culinary oils, massage oils, lotions, drinks, aromatherapies and supplements from legal herbal extracts and essential oils. And that's just the beginning. Still in the prototype stage, Oblend will go on resale in March and is expected to begin shipping in July. Pricing is expected to be at about $949. They are currently offering a CES special of 50% off of the March preorders when you sign up for their email list on their website.